﻿ In-Car WIFI Hotspot for Tesla? In-Car WIFI Hotspot for Tesla? 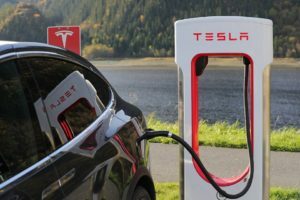 Home » In-Car WIFI Hotspot for Tesla? Last year, Tesla‘s cars began being fitted with a Qualcomm Atheros QCA6234 chipset. This particular wireless radio handles bluetooth as well as WLAN capabilities for wireless networking. Currently, this radio is only enabled for client mode—meaning that it can connect to a wireless network being broadcasted around the car. The chip also has the ability to act as an access point for clients to connect to it. Combined with the existing cellular network to which each Tesla connects for updates, and you have the recipe for a mobile hotspot. Complete article: In-Car WIFI Hotspot for Tesla?